Have to say, I am really curious for Fincher tackling 20,000 Leagues Under The Sea. Accordingly, these news are thrilling, as besides rumoring about the film, they contain three of my favorite Fincher buzz words: Fincher, Andrew Kevin Walker, and Brad Pitt. Seriously, this film already has so much going for it. 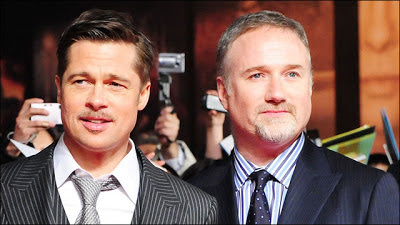 Now, as Variety reports, Fincher tapped Brad Pitt for the role of sailor and master harpooner Ned Land. The studio reportedly wants to arrive a decision whether to move forward with the picture in three months' time — oh, what a sweet New Year's surprise it would be! Now, that is the news that makes me say: Hell Yeah! !